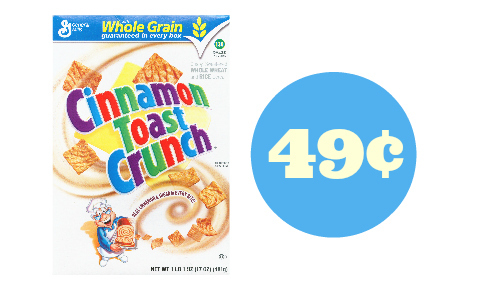 There are new cereal coupons that make Cinnamon Toast Crunch 49¢ at Bi-Lo and Winn Dixie. My goal is to never pay more than $1 for a box of cereal, so I love to get it for even less than that. The deal starts tomorrow, 4/8. You can see the full Bi-Lo Ad here. Like getting it for 49¢!